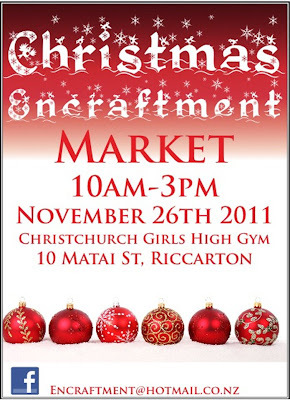 This weekend I will be at the Christmas Encraftment Market at on Saturday 26th November, from 10am – 3pm at Christchurch Girls High School Gym, 10 Matai Street, Riccarton. 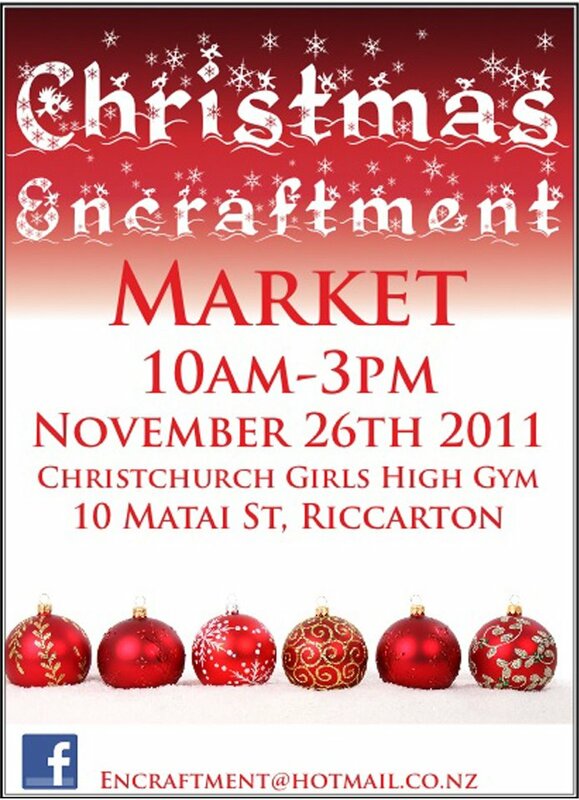 There will be lots of great craft stalls, including Black Swan Designs, Cloud Nine Creative, Mudbird, Green Jean, Honey and Spice, Freedom Creative, Natural Star, In my Backyard, The Busy Finch, My 2 Monsters, Sailor Spy, Relique, lots of yummy baking from the Sweetheart Bakery and many, many more great stalls. I can't thing of a better place to start your Christmas shopping (or finish it if you're super organised!) I will have the new owls, along with some brand new Christmas candles – you'll have to come along if you want to be one of the first to check them out! 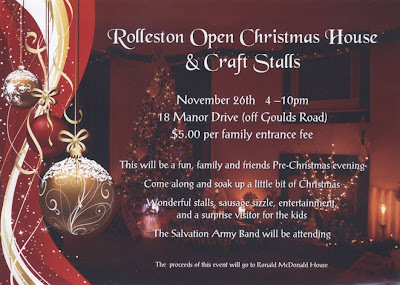 If you can't make it to Encraftment, or feel like squeezing lots of Christmassy goodness in one day, pop out to Rolleston for an Open Christmas House and Craft stalls. This is a fundraiser for Ronald McDonald House, a charity that provides support and a place to stay for families of sick children that have to come to Christchurch from out of town to the Hospital. The company I used to work for is a supporter of the house. While there I did some of their design work, including their newsletter, so learned a lot about the great things they do. I won't be there personally, as two events in one day is pushing things a little bit. The organiser of the event has arranged someone to look after my stall for me. I will be donating 20% of all sales to Ronald McDonald House. It's just $5 entry to this event, in support of a very worthy cause.